Stone Cold Records is one of Jamaica's finest production house known for its great flexibilty and creativity in Reggae and Dancehall Productions. This company was founded in 1997 by one of Jamaica's top Record Producer Mark 'Stone Cold' Hudson. He formed his company out of the love for music, recognizing that the music needs a little flair and direction. He created the Stone Cold Label but little did he know that the label would have had such an impact on the industry. The label made hits after hits in the reggae and dancehall marketplace. 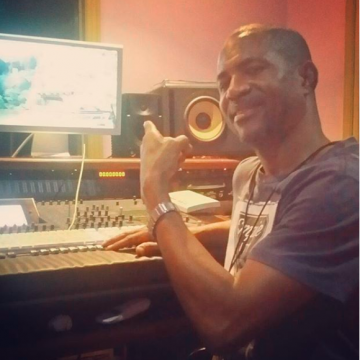 Stone Cold Records has made many musical successes to its credit and has worked with the 'Best of The Best' in the industry, for example:- Beres Hammond, Beenie Man, Buju Banton, Sean Paul, Toots, Fredie McGregor, Born Jamerican, Luciano, Tanto Metro&Devonte and many more top and upcoming artistes. Stone Cold Records has completed a three year production deal with Jam Down Records, Atlanta U.S.A. We also produced 80% of their albums for that period. We also produced records for companies such as V.P. Records NY, U.S.A., Green Sleeve Records, London, Jet Star Phonographics, London and many more production companies and record labels. Stone Cold Record's mandate is to give the Reggae and Dancehall industry quality music and to motivate and inspire everyone. Please contact us at Jack Russell Music if you would like to use any of Stone Cold Records’s compositions for film, television, electronic media or covers.